Welcome to another Micro Preemie Monday. Today, I wanted to share my own story of premature birth. 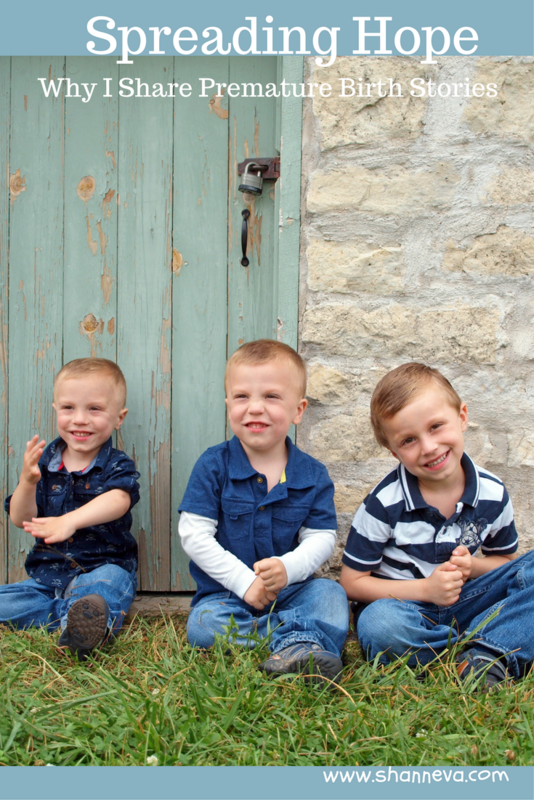 If you’re a regular reader, you know that my micro preemie miracles are identical twin boys. Even though I’ve shared my pregnancy and birth story before, I wanted to answer all of the questions that I ask other families every week. I share these stories to give hope to women who may be in a similar situation. During my pregnancy, I would spend hours just looking for stories of babies that had survived a very early premature birth. Since my pregnancy was so complicated, I was worried and didn’t know how far I would make it. Finding support groups and stories of survival are what got me through many dark times. I want to provide that light to other women. No one should feel alone or hopeless. My identical twin boys, Penn Julius and Cruz Marley, were born on May 4th, 2012 at 6:36 am by emergency c-section. They were born at 25 weeks, 5 days. Penn weighed 1 lb 7.5 oz and Cruz weighed 2 lbs 2 oz. 2. How long were you in the NICU? What was the hardest part? Penn was in the NICU for 93 days, and Cruz was in the NICU for 91 days. The hardest part for me was really letting my guard down, and not being scared all the time. I was so worried and anxious because they were just so tiny and so sick. I was even afraid to touch them at first. What if they got sick or hurt because of me? It was also so painful to see all the things they had to go through in their first weeks of life. Cruz was the first to have surgery. His PDA, Patent Ductus Arteriosus, did not close at birth like it was supposed to, so he had to have heart surgery before he was even two weeks old. 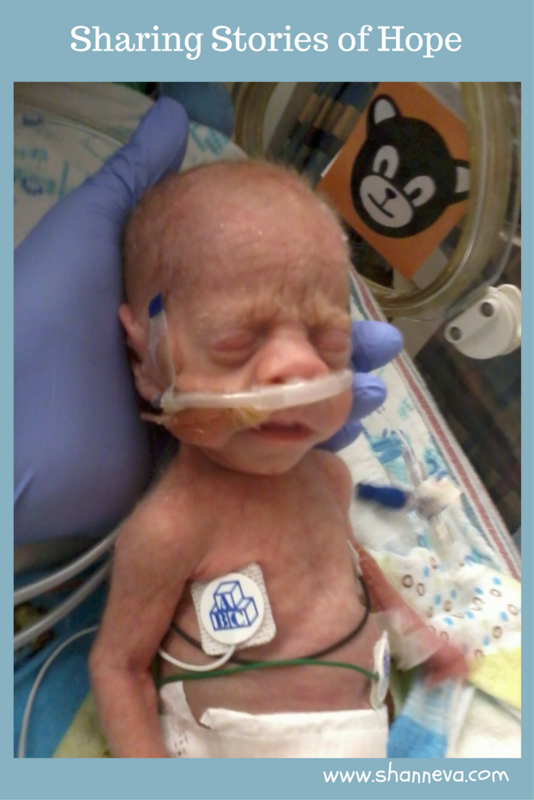 It’s a routine procedure in the NICU, but it doesn’t make it any less scary when they are operating on your 2 lb baby. Luckily, the surgery went well, and after it was done, he basically just had to eat and grow. Penn had NEC, which is Necrotizing Encolitis. He had surgery at his bedside and a primrose drain put in. The surgeon cleaned out his stomach, then left the drain to get out the rest of the infection while he was given antibiotics. I was so thankful that it worked, otherwise he would have been transferred to another hospital until he was big enough for another surgery. He also had to have laser eye surgery because he had ROP, which is Retinopathy of Prematurity. If not treated, this can lead to the Retinas in the eyes detaching and blindness. He has lost his peripheral site, but other than that, it was a success. It took Penn a lot longer to come off the ventilator. They had to give him a few rounds of steroids to help his lungs. He was finally off all breathing assistance after his ROP surgery. The doctors and nurses prepared us for a much longer NICU stay for Penn, but once he had that surgery, he wanted out! He came home within a day of his brother. My identical twin boys had a very complicated pregnancy. My premature birth was caused by a combination of TTTS (Twin to Twin Transfusion Syndrome) and SIUGR (Selective Intrauterine Growth Restriction.) As identical twins, they shared a placenta, and they also shared a blood supply. They had very unequal shares of the placenta. The blood vessels connecting them in the placental also had abnormalities. This caused one twin to get too many nutrients and one to not get enough. I was on bed rest at home from week 16 on. At 24 weeks, I was in the hospital on bed rest. They monitored the babies constantly in the hospital. Once they saw my little guy’s heart rate drop and not come back up, they had to deliver them both to save him. We are doing great! After 3 months in the NICU, 2 winters of isolation, physical therapy, and developmental clinics, they are now super active and busy 3-year-olds. At their last developmental clinic, the doctors said there was no evidence of their prematurity. We’ve also followed up with the eye doctor, and they have great vision. 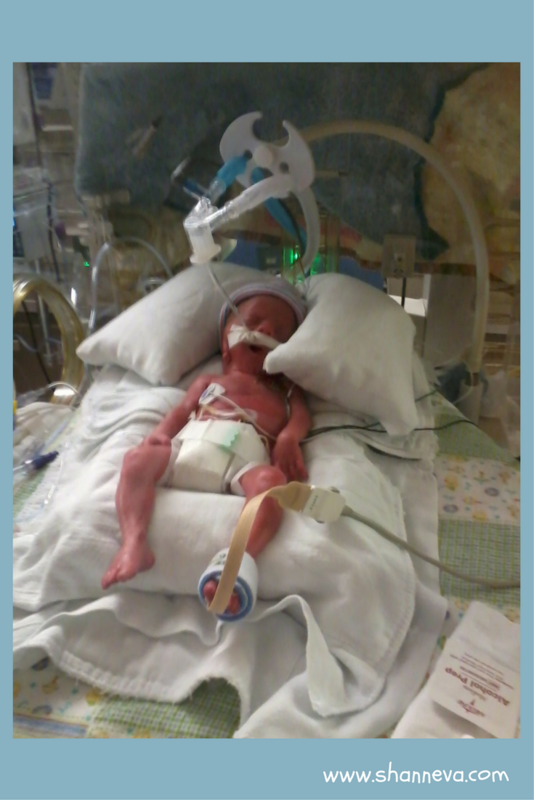 For the most part, I have recovered from the NICU experience, however, I still experience anxiety and PTSD from it. Smells, sounds, and certain places will take me right back to those days in the hospital. I am so lucky to be part of many support groups that help me. Writing this blog is a huge way to help me heal, as well. Even though it may be scary and painful, spend as much time as you can with your baby/babies in the hospital. Take pictures, read books, talk to them, and hold them as much as you can. You are your baby/babies best advocate. If there is something you are uncomfortable with, speak up. Ask as many questions as you want, and don’t be afraid to call the hospital whenever you can’t be there. Don’t beat yourself up if you can’t be at the hospital all the time. I had a 2-year-old at home when the twins were in the NICU. I had to split my time between them all, and I felt guilty all the time. I felt I was always in the wrong place…but you’re NOT. You’re doing the best you can. Ask for help, and take help from anyone that offers. Now is the time to lean on your loved ones. 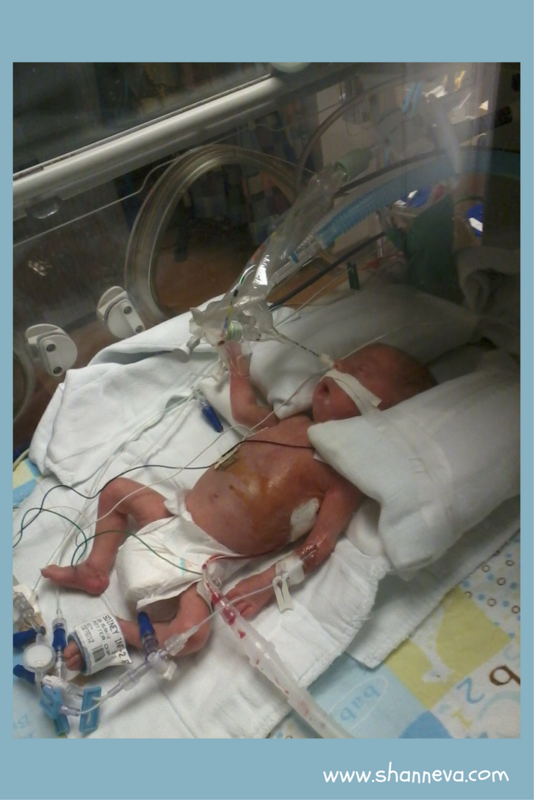 Thank you to everyone for reading my Micro Preemie Monday about my identical twin boys. We’ll meet a new family next Monday. Feel free to leave any questions below or submit your story by clicking HERE. Love hearing your story<3 does the PSTD ever stop? It Just feels never ending. PTS can not really be healed or fixed. Since everyone may have a different trigger that puts them on guard or protection mode. I still can’t get over how tiny they were! The pacifier is almost as big as their little heads! So stinking adorable. I know…it’s crazy. I can hardly remember. They were so tiny, but so so so beautiful. Thanks for sharing your story. 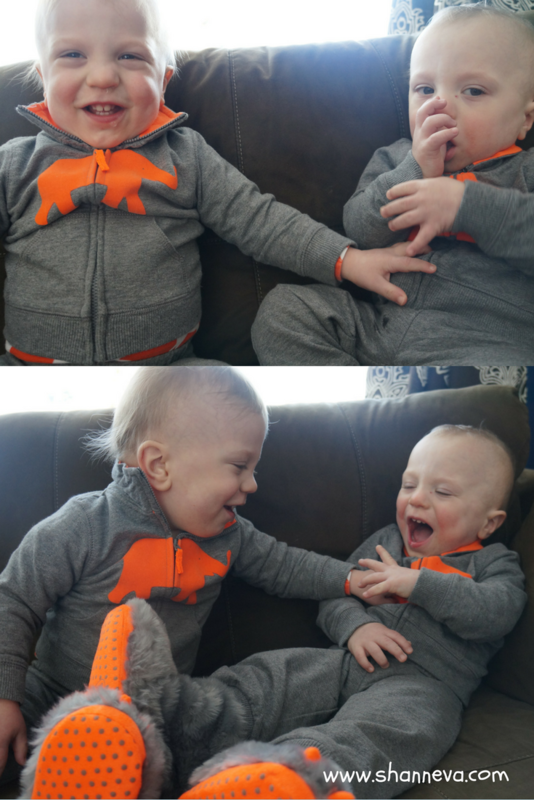 I don’t think the anxiety will ever end (9 weeks PP with my own twins)… Your boys are so sweet and I am so glad that they are healthy now! Happy birthday to you! So happy you get to celebrate with those two adorable faces! What a scary experience but happy to hear they’re doing great plus some. Beautiful little family! Thanks for sharing this! I agree that certain things take me back to our own NICU stay. Even just thinking about it brings tears to my eyes. I’m so happy that your boys are healthy and happy 3 year olds and that you are healing everyday. I can completely imagine being so worried about them getting sick and being worried during flu season. Thank you so much for sharing your story and Happy Birthday! I love those trampoline places. I wish we had one in our town – the closest is all the way in Chicago! This is an exceptional story, Shann! I had never heard of TTTS before. Your advice is so meaningful. I’ve heard countless times that one of the many disadvantages preemies face is lack of simulation (hearing mom’s voice). The tip about staying in the hospital as much as possible is excellent. As the sister of someone with tremendous health concerns, I have to say, being your child(den)’s advocate is one of the best things possible for their health and development! Great post ? Look at those cuties! I look forward to these beautiful stories every Monday! My gosh they were so tiny, it’s amazing how much they’ve grown. Thank you for sharing this with us! Your babies are just to adorable! Happy Birthday from one virgo to another! I hope you have a great day. It’s such a blessing that your boys are happy and healthy and I enjoyed reading your story. I was a preemie too! Thank you! That’s awesome that you were a preemie too. How early were you born? I love hearing that they are now doing great. What a pair of cutie pies. Happy birthday! How scary just reading your post, but what a happy ending! Happy birthday! So exciting that the doctor says there is now nothing that sets your boys apart from other full-term 3 year olds 🙂 I can imagine how scary those surgeries in the NICU must have been. I still can’t smell hospital soap without my mind going right back to the NICU… Have a great birthday with all your boys! Happy birthday, Shann! I was so happy to see your twins’ story posted today. I’m in awe of how strong you were. Also, I’m so happy that they’re healthy 3 yr. olds today and doing just fine. Happy birthday! What cutie pies!! 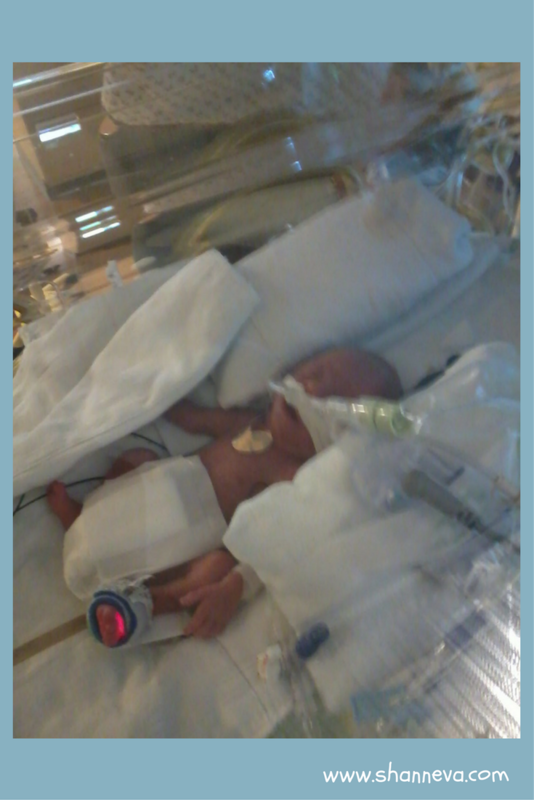 Being a NICU mom is so scary, as is having preemie babies. I am sorry for what you went through and applaud you in your courage to share and try to help others. Happy Birthday! I’m so glad everything is good with your boys now, they are so cute. I love that the paci is almost as big as his head! They are sure thriving now, love it! HAPPY BIRTHDAY!! happy to know kids are doing well after a scary start. I love these stories and I am happy your boys are well and jumping around. I hope you had a GREAT birthday…BTW, your boys have some AWESOME names! Wow medical science is AMAZING! My daughter was 2 months premie and she has Cerebral Palsy – thankfully it is physical only and not mental, also her CP is considered mild. Thankfully again when she was 17 she had a life changing surgery that made her able to walk almost perfectly. She still has muscle weakness and some learning issues, she also has anxiety and depression from her disabilities. Long story I will make short … before her life changing surgery she had 7 previous surgeries that only worked a little while and she would grow out of them. My POINT … lol is that medical science has come so far in her lifetime! I wish that she had been able to have her last surgery FIRST. I am SO happy for you and your little ones! I can’t imagine having them so tiny and fragile! I am so pleased they are doing well and I can imagine you would suffer PTSD too and I am sorry about that. I know people say “appreciate that you have two healthy children after all that” but the mind works in as mysterious ways as the body does. Yes, I agree. Thank you for sharing your daughters story with me. I’m sorry she’s had to have so many surgeries, but I’m glad the last one was life-changing. Medicine certainly has come a long way. I’m so thankful for it. Omg!!! Just so tiny!!!!! It’s really incredible if you think about all the progress between then and now!!! I am so glad to hear that they are doing so well nowadays. That’s a pretty scary story to live through. It is always good to hear a happy ending to such a scary story. I have one boy, almost 22 now. He was born six weeks prematurely but healthy. Even with healthy newborns, we watch them closely making sure they are OK. And we worry anyway, about little things. I can’t even imagine how difficult it was for your family. I am glad that things are good now! Thank you! I’m glad your son is healthy too. Oh my gosh, Happy Birthday!! What beautiful boys you have! I started to cry reading your story, and my happy tears took over as I saw how beautiful and strong they are now! Thank you so much for sharing!!! Awe. Thank you so much Ashleigh. I really appreciate your comments. Happy birthday! You deserve all of life’s blessings, especially after going through that tough phase. Congratulations on making through it as well. They were so tiny and fragile. And look at them now! that must have been such a scary experience. I’m glad you got through it with your family. And happy birthday too! First off, Happy belated birthday! Second off, your twins are adorable! I am glad that they was able to pull through the tough times and are healthy and growing now! Happy birthday! Your little ones are so cute! Sounds like a tough start. Glad things are going well now. I hope you had a great birthday Shann. I didn’t know your babies were preemie…looking at their pics now, you wouldn’t be able to tell. My neice is a preemie too. She’s a year old and by looking at her, you wouldn’t be able to tell she was. So good to see your boys are healthy and happy! Hope you’re having a great week! Talk soon! Happy belated birthday Shann! I am just amazed at the strength you mother’s of preemies are. God gives you this huge challenge and not only do you survive it you concur it and your children show it. Your little boys are beautiful and you would never know the rough beginning they had. Thank you so much Tennille! Oh! They look lovely! My son was a premie too. Not quite so young though but I did see many parents in the NICU with tiny babies and it was really hard to see what they went through, but you think about this … they are miracles aren’t they? Beautiful little handsome boys. They are just perfect! It’s a true miracle that science and technology have come a long way. Hope you had a Happy Birthday! Ugh, these stories always break my heart. I loved hearing your story, Shann! All three of your boys are adorable.